Connecting the Sony PSP® and PSP®go to a wireless network allows you to take advantage of a lot of their features. These features include browsing web pages directly on your device, downloading new games from the Internet, listening to Internet radio, playing multiplayer games online and using the RSS Channel to get news and other information. 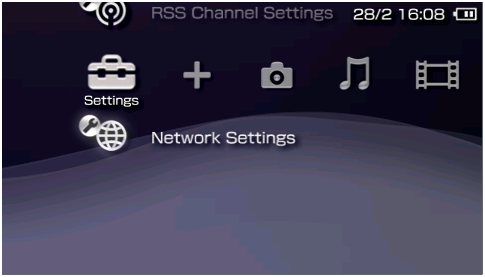 This article will help you on how to connect your Sony PSP® and PSP®go to the wireless network and take advantage of these features. Ensure your device’s WLAN switch is switched ON. This can be found beside the L button and it enables the PSP®’s wireless feature. For PSP®go, the wireless switch is located on the left side. Take note of your router’s wireless settings (Wireless network name (SSID), type of security and the wireless password). These will be used to connect your device to the network. For instructions on how to check your wireless settings, click here. On your device, go to Settings > Network Settings. Select Infrastructure Mode then [New Connection]. 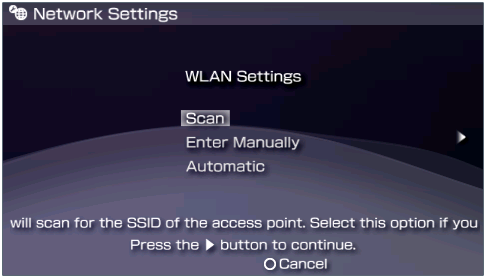 On the WLAN Settings menu, select Scan. This will display all the available wireless networks within range. Select your wireless network from the list that appears. NOTE: If your router’s SSID does not appear, check and make sure that your router’s SSID broadcast is enabled. The PSP® and PSP®go are only able to connect on the 2.4 GHz band and can only support WEP and WPA security modes. The PSP® or PSP®go will automatically fill in your SSID and detect its security type. Tap right through those fields. Once the passphrase (WPA/WEP Key) window appears, tap X. 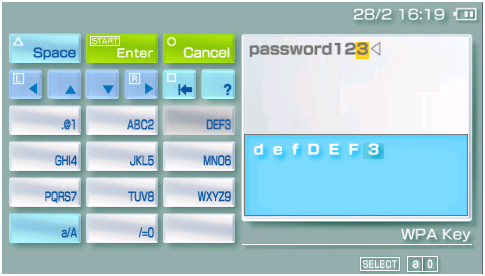 Enter the router’s passphrase using the onscreen keyboard then press Start. Press right through the rest of the options then press X to save your settings. 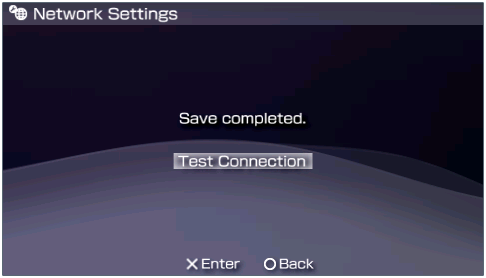 After saving your settings, press X again to test your connection. Once the tests are successful, you should see a screen that lists your network’s connection details. Press O to go back to the connections list screen. NOTE: If the connection test fails, follow the on-screen instructions to check the settings. You may also need to verify if MAC Address filtering is enabled on your router. You may need to enter the MAC address of your device to connect to your wireless network. To learn how to add your device's MAC address to the router, click here. 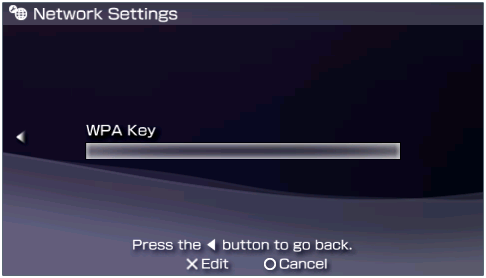 For instructions on how to get the MAC address of your PSP® or PSP®go, click here. When you access a service that requires network connection such as the PSP® or PSP®go’s web browser, simply choose the network profile you created earlier and you should be able to connect to the Internet if you are within range of the wireless network. The Linksys router has the capability to connect multiple devices in the network such as smartphones, game consoles and printers. If you have a large house with devices that require top wireless speeds and a wide range, you can also extend the range of your wireless network by using other networking devices from Linksys like the Powerline adapters. To know more about Powerline adapters, click here.